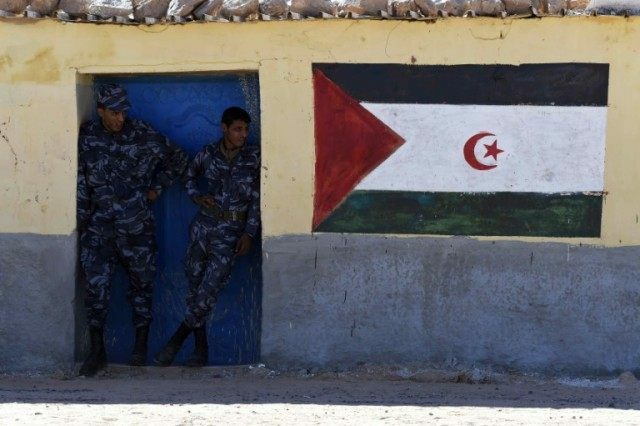 United Nations (United States) (AFP) – The separatist leader of Western Sahara has warned the United Nations of a return to armed conflict in the north African territory unless pressure is put on Morocco to fully restore a UN mission there. Polisario Front leader Mohammad Abdulaziz delivered the warning in a letter to UN Secretary-General Ban Ki-moon, three weeks after Morocco expelled 80 staffers of the MINURSO mission, severely crippling its operations. “We warn that the absence of a real and direct pressure on the occupying state of Morocco from the international community, specifically the Security Council… will be considered a green light to a military aggression by the kingdom of Morocco against the Sahrawi people,” wrote Abdulaziz in the letter sent this week. “This people will find itself, again, obliged to defend its rights by all legitimate means, including the armed struggle, which is legalized by the UN to all colonized people,” he wrote. The warning came as the Security Council struggled to agree on how to salvage the MINURSO mission with its skeletal staff. Ban is due to release next week a report on renewing the mission’s mandate, but the clash with Morocco has left a question mark over the future of the peace force. The UN chief angered Rabat when he used the term “occupation” to describe the status of Western Sahara, where Morocco deployed troops in 1975. The United Nations has been trying to broker a Western Sahara settlement since the 1991 ceasefire that ended a war and led to the establishment of MINURSO. The mission was tasked with organizing a referendum on the future of Western Sahara, which never materialized. Diplomats said Morocco was lobbying to have that provision dropped from the MINURSO mandate. France and Senegal have supported Morocco in its demands, according to diplomats, who raised concern that concessions to Rabat will embolden other governments unhappy with a UN presence in their countries to take action.